Go from light-filtering to room darkening – and anywhere in between – with one shade! These innovative cellulars give you three different window treatments in one. Used like a top down bottom up product, each shade can be independently operated to give you just the right amount of light and privacy control, where and when you need it. Simply raise or lower the cordless lift handles and adjust them as needed to provide all filtered light, complete blackout functionality, or any combination of the two! 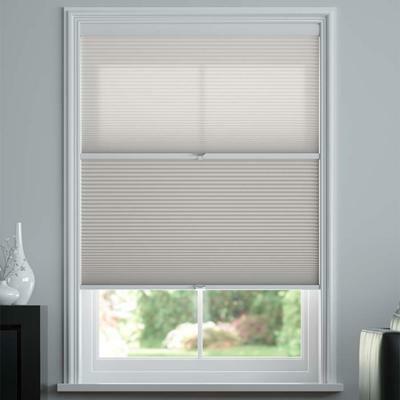 Not only functional, Premium Light Filtering/Blackout Cordless window coverings are a DIY designer’s dream. The delicate light filtering cellular fabric on top is color-matched with the blackout material on the bottom for a uniquely custom appearance when both are revealed. Soft 5/8”, energy-efficient pleats flow together smoothly to help insulate your windows. With a sleek headrail (no valance needed!) and only 1-3/8” required for an inside mount, they’re an especially sweet solution for narrow windows. Check out a sample of all four colors to see which one looks best in your home! Color-coordinated semi-gloss finish on PVC head- and bottom rails to match shade. The fabric color is the same on the front and street-side. Inside mount: 3/8” deduction taken at factory on headrail and fabric.No deductions to headrail or fabric on an outside mount.Offered with top mount brackets only. Side mount brackets not available. Sorry, product not eligible for 24-hour hold time. Changes/cancellations are not guaranteed once order is placed. Shades look great and work smoothly so far. They do exactly as advertised- either complete blackout (or almost complete, there is a line of line getting in from sides and upper and bottom part)of light filtering option (NO see through at all, only light). Valance/cassette looks elegant (which I couldn't see on any photos on the site), size fit perfectly. 2) Ordering: I had an online chat with a representative that gave me the wrong information on the blinds. From the photos I didn't understand if the blind gave the option of complete blackout or complete light filtering, or if it was upper half of the blind blackout and lower half light filtering. The representative said they were half and half. 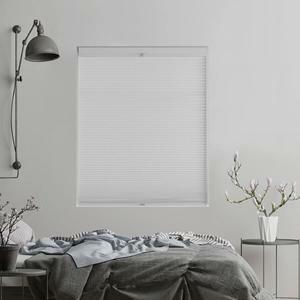 Only after I read all of the reviews carefully, I understood the blinds can be blackout or light filtering, and I ordered them anyway but with a few weeks delay. Representatives should be more knowledgeable on the products they are representing. After ordering the products came quickly, well packed and exactly as ordered. 3) Installation: first one took a Loooong time to install (about one hour). The instruction manual was almost useless, not enough information. Second one was much quicker. It was the first time my husband and I install blinds, he is fairly handy. SelectBlinds could easily print a DETAILED instruction manual AND post a good installation video on the web. 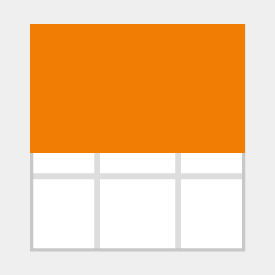 4- Customer service: after being installed I noticed a defect on one of the blinds, a crumple on the material. I sent photos to a representative and she immediately ordered me a new blind, that came quickly. I didn't have to send the defective one back, and it saved me on shipping. 5- I think the site should have more and better photos of the products in all angles, open/closed, closeups, etc. Would help future buyers. It would also be nice if they let customers post their own photos of the installed products. Overall I'm very happy with the result, the shades look and work great,you cannot see any difference between a professional installation or ours. I have already recommended them and I have a friend that already ordered blinds for her house on Select Blinds. They also cost a fraction of other "leading brands", and I did my research. Cannot say anything about durability. 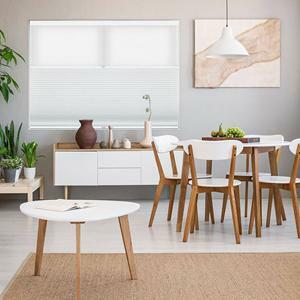 I never thought I would describe the experience of researching, ordering, and installing custom shades as "a pleasure," but SelectBlinds has changed my mind. My first reaction was that the shades I wanted were 40% less than on another site - there must be something wrong with them. So I ordered samples, which arrived the next day, and they were identical to the samples I ordered from a big box store that arrived in a beat-up hand addressed envelope nearly two weeks after I emailed to request them. 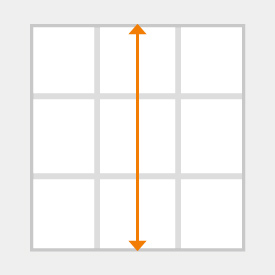 I watched the measuring video and re-measured all five of my windows before ordering. (the measurements did change slightly so please don't skip this step.) The shades arrived 3 days earlier than projected and fit perfectly. We watched the installation video and it took my husband 25 minutes to install all 5. The simple blinds disappear into our beautiful bay windows so we can enjoy the view. When we prefer privacy, they filter light and/or block it out entirely depending on how they are raised or lowered. I would not buy blinds from anywhere else. I read some negative reviews during my research that I now suspect were due to user error. Order (free) samples, watch the measuring video and follow the instructions when you measure, and you will have a great experience. 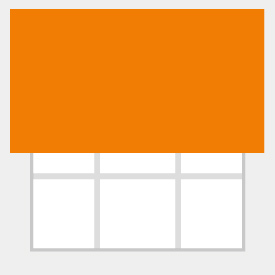 I ordered two of these shades, for the windows directly across from our TV. I love the light filtering part, and my husband loves the blackout shade when watching TV. Now both of us are happy. I was also surprised at how easy they are to raise and lower. And they look fantastic. 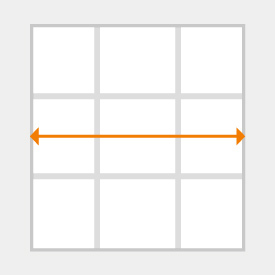 The shade works well, the customer service was very helpful. We purchased the same shades with a cord 3 years ago, the cord broke but unfortunately we couldn't get the same color (off white)with the cordless, so now the center (large) window has 1 shade of off white and the 2 side windows which are much smaller have something different. The shades with the cords were annoying. The strings were too long but the did last 3 years. When ordering these shades if you follow the instructions they have on the website for measuring, it worked well but I'm sorry we didn't add 2 inches on the length. We ordered the exact length and it needs an extra inch for some reason.